Shihan Andrzej Pierzchala 5th dan led a three day Oyama Karate Schooling Seminar in Kiev. Sensei Bogdan Petrenko 1st dan, Country Representative OYAMA IKF in Ukraine organized this event. Shihan Pierzchala taught technique and kata required for the kyu promotions. 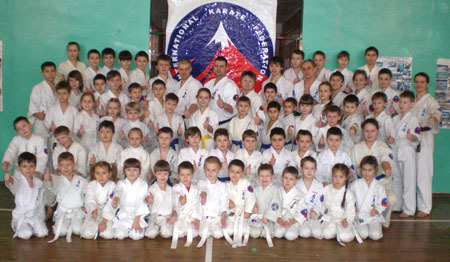 During the seminar, a guest from Poland conducted a training with children from the Ukrainian Oyama karate clubs. 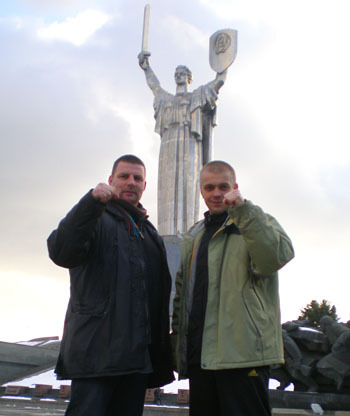 In spare time Shihan did some sightseeing in Kiev. 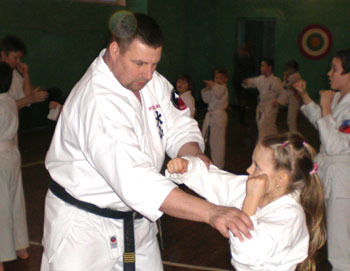 Shihan Andrzej Pierzchała with a group of Ukrainian children.